amazing what appears from nature, these image of the exposed tree roots were taken by the side of the river at Bolton Abbey in Yorkshire, the sheep image taken in shropshire. 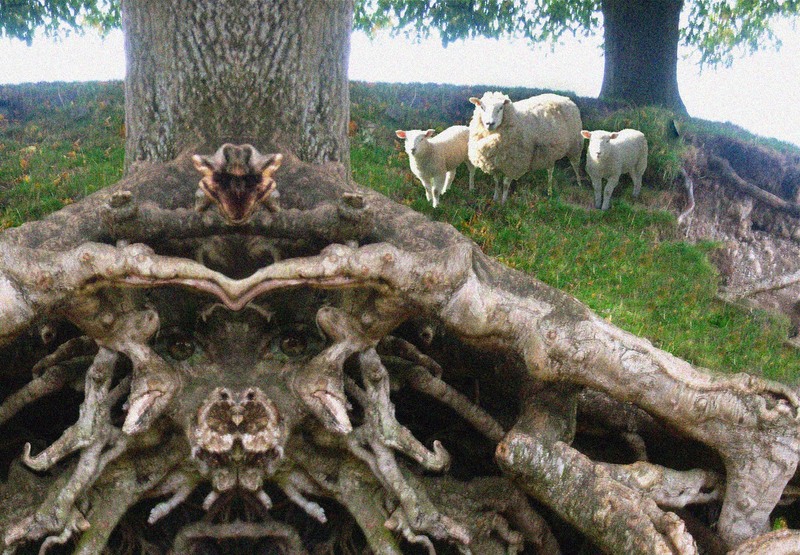 Lovely image here of the knarly tree spirit. Do you know of Pam Montgomery’s book “Plant Spirit Healing”? It has photo work by an artist/photographer Linda E. Law of tree spirits which you might also enjoy!